Happy International Snow Leopard Day! Snow Leopard by Jean Beaufort. CC0 1.0 Public Domain. Today, October 23, is International Snow Leopard Day! This is an unofficial holiday that was created in 2013 at a meeting of all twelve Snow Leopard Range States in Bishkek, Kyrgyzstan. The purpose of International Snow Leopard Day is to educate the public about the plight facing this extraordinary cat: an aim that is much needed. Snow leopards, known scientifically as Panthera uncia, are listed as Endangered by the IUCN Red List. No one knows exactly how many of them there are, but the NGO Panthera claims there could be between 4,500 and 10,000 wild snow leopards left (2016b). That number is likely to be falling. A recent report concluded that from 221 to 450 snow leopards have been illegally killed every year since 2008 (McGrath, 2016). This poaching is largely motivated by human-wildlife conflicts, in which herders kill snow leopards in order to protect their livestock. Excessive grazing by domestic animals can also degrade mountain habitats and lower the densities of wild ungulates (AKA snow leopard prey), thereby exacerbating such conflicts (Panthera, 2016b). However, there is hope. Dedicated conservationists and local people have been working hard to reduce the threats to snow leopards. This article by the Snow Leopard Trust describes one way they are helping to resolve human-wildlife conflicts involving Panthera uncia. It tells the story of a Mongolian herder named Amara who once hated snow leopards, because of the harm they caused to his livestock. But at Amara’s prompting, the Snow Leopard Trust worked with his community to establish an insurance scheme to compensate herders for their losses. Amara has played a key role in this program, and now he advocates for the snow leopard’s protection. This is a powerful account of what can happen when conservationists work with local people, and I suggest you read the full story here. To summarize, this International Snow Leopard Day brings a mixture of apprehension and hope. On the one hand, snow leopards are facing significant challenges throughout their range. But a great deal of effort is being invested in their protection. If you want to help conserve this almost mythical animal, there are several things you can do. First, educate yourself about the threats facing this incredible cat. A great deal of information can be found on Panthera’s website and in the IUCN Red List. Second, consider supporting organizations that are working to help snow leopards and the people they live with. My favorite group is the Snow Leopard Trust, since they excel at collaborating with local people. Lastly, help spread the word about International Snow Leopard Day! I imagine there will be many posts on this topic today, and sharing them will help this elusive species gain more visibility. Snow Leopard Trust (2016, October 4). The man who used to hate snow leopards. Retrieved from https://www.snowleopard.org/man-used-hate-snow-leopards/. Yo también! Antes me mude al California, un cachorro de leopardo de las nieves fue nació en el zoológico en mi ciudad de origen. Fue un evento muy emocionante, aunque no he visto el cachorro aún. Indeed! 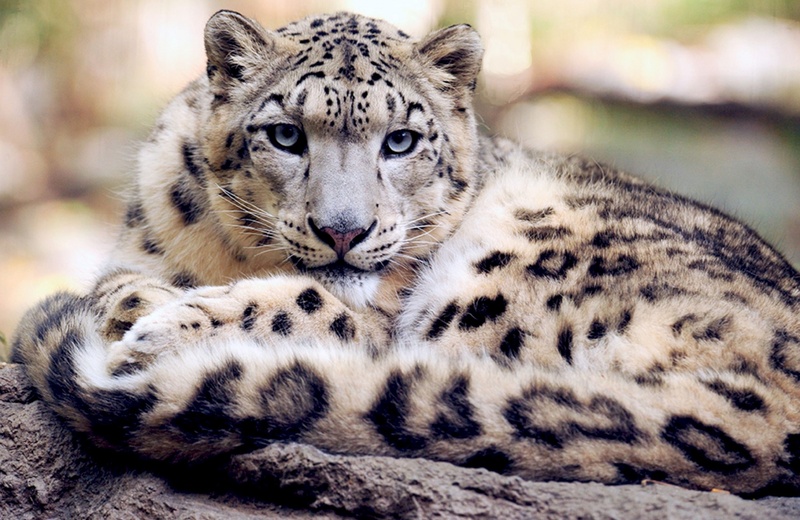 Snow leopards are gorgeous cats, and I believe the world is somehow better because they are a part of it. Indeed it is! Snow leopards are definitely some of the most beautiful animals I’m aware of. Snow leopards have such a regal appearance. There’s a daunting but intriguing appeal about them. Prior to this article, I did not realize there was an official “Snow leopard Day” but find it quite befitting to honor nature and our mammals.